You had white shoes and bare knees in 1983. So I left when I was sixteen, didn't think of at all. Were you thinking that way too when you turned your back on school? Did you work in a bank? did you marry with a banker? Do you think of fate at all? Do you think of cruelty? Do you think of me pushing you up against that tree? And that peppermint taste didn't pass away for weeks. But we kissed to hard and we knocked each others teeth. Did you smile with relief when I gave up the ghost and didn't ring your house no more. Now its been twenty years, I bet you kiss real good. And that peppermint taste doesn't pass away for weeks. They look dull, they look crap when placed in real life..."
I was ecstatic for at least six weeks, oh,..."
staring at the ceiling making friends with shadows on my wall. hearing voices telling me that I should get some sleep, cause tomorrow might be good for something..."
"Sobriety breeds sincerity, and Lydia Pond she is my gravity. But in the morning she shaking, she was twitching, she was jerking. 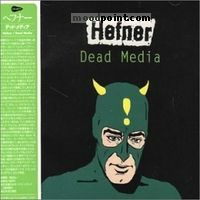 On June the 5th she moved to Paris, she could not stand the state of British politics,..."
if you want to see other song lyrics from "Dead Media" album, click "Hefner Singer" and search album songs from the artist page. If you know some new information about Peppermint Taste, or other song from our site, that isn’t already on song page, please let us know, Any refinement, news, or comment is appreciated. If information about Peppermint Taste, or any song from moodpoint directory is wrong, please contact us and write where the incorrect data should be replaced by correct data. Use "Find Lyrics" box on our site, try to use different artist or (and) song title(ex: Peppermint Taste) word forms.